There has been rapid global expansion of production and consumption of animal products which is expected to continue to grow. While traditional livestock systems contribute to the livelihoods of 70% of the world's rural poor, increasingly the emerging large-scale operations with sophisticated technology and international trade cater for the rapidly growing markets for meat, milk and eggs. Livestock production currently accounts for one third of the global crop land which is used to produce feed for animals and competes for land, water, energy and labour, and is being challenged by the vagaries of climate change and socio-economic pressures. 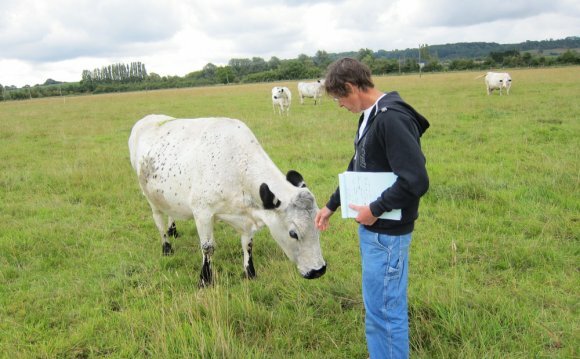 Increasing productivity - making the most efficient use of the production inputs - throughout the whole livestock sector will be fundamental if the sector is to meet the growing demand for quality livestock products whilst minimising its impact on the environmental and the world’s natural resources. Increasing productivity, especially in the small to medium scale production systems, is currently constrained by lack of skills, knowledge and appropriate technologies compounded by insufficient access to markets, goods and services, and weak institutions. The result is that both production and productivity remain below potential, and losses and wastage can be high. However, adapted breeds, local feed resources and animal health interventions are available, along with improved and adapted technologies that include sound animal husbandry, on and off -farm product preservation and value-adding product processing. Together with supportive policies and institutions, they have the potential to substantially improve productivity, income generation and to make a major contribution to poverty reduction. AGA’s programme on animal production focuses primarily on small-scale dairying, small-medium scale poultry and, to a lesser extent, on small ruminant systems which can make a significant contribution to improved livelihoods and local economic development. This will be achieved through the provision of topical information, guidance and technical support to member countries.